(and lots of time with needles and hooks) in 2017. 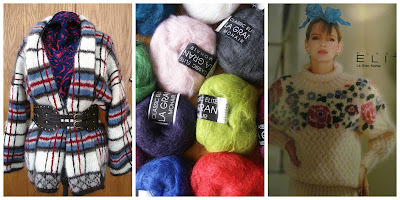 At this time of year, I hope you enjoy a bit of time sitting all snuggled up with a warm cuppa something, checking out yarn related posts from around the Internet. 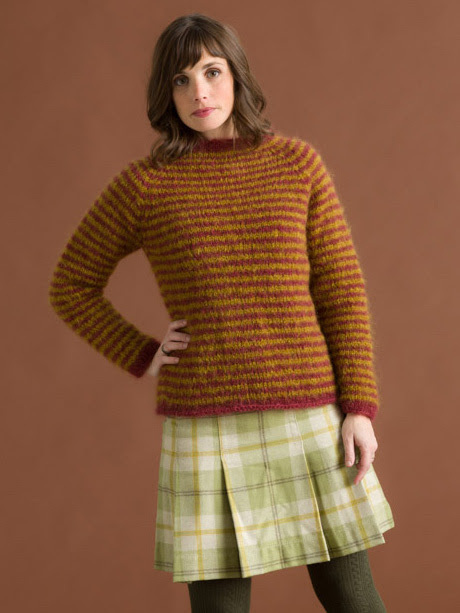 The ever popular Mason Dixon knitting blog has this great story focusing on the Gilmore Girls design team. Ever wonder about all those hand-knits in the show? Wonder no longer. 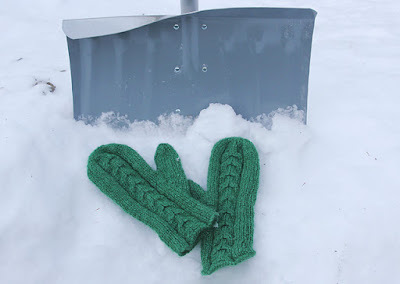 Check out this post from Brides Magazine to see how knitting takes it's place at the season's weddings. Glamour magazine says you can swap out ugly Christmas sweaters for Statement Knits. But doesn't that take away all the fun? 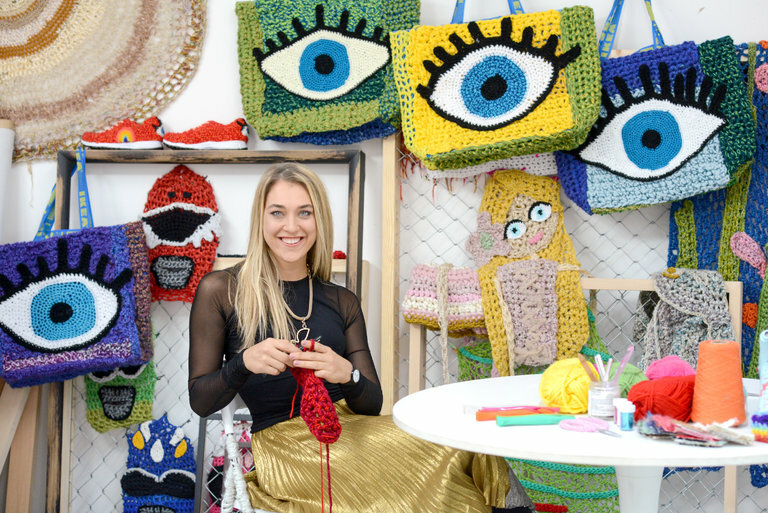 And this New York Times piece by Jennifer Miller introduces us to a Brooklynite who is making a career of yarn bombing and creating knitted art pieces. Hope you'll enjoy checking these out. What stories have you found around the web about our favorite topic? Pantone has announced it's Color of the Year for 2017. 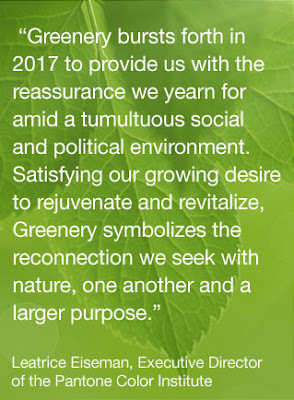 The winner is Greenery. The revelation of Pantone's choice, unleashes a new jolt of creativity in us each year. 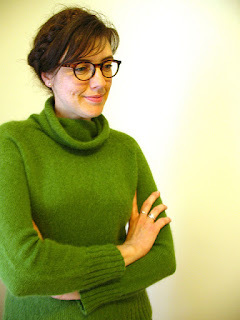 I've already rushed through the warehouse shelves, identifying the Greenery in our own yarns. 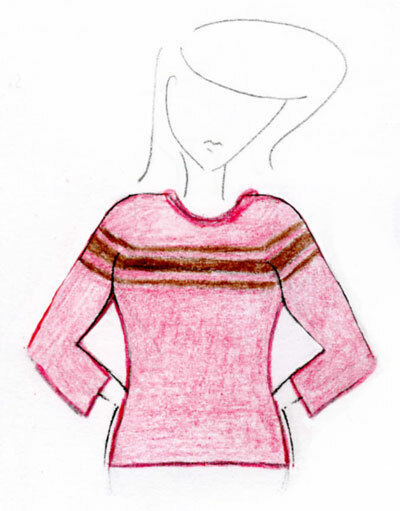 It's fun to line up our own color swatches with some of pantone's suggested palettes. 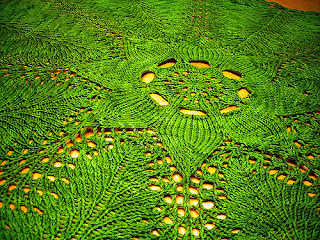 Over the years, you've all shown a particular fondness for green as told in more than 8000 Ravelry projects in green Classic Elite Yarns. 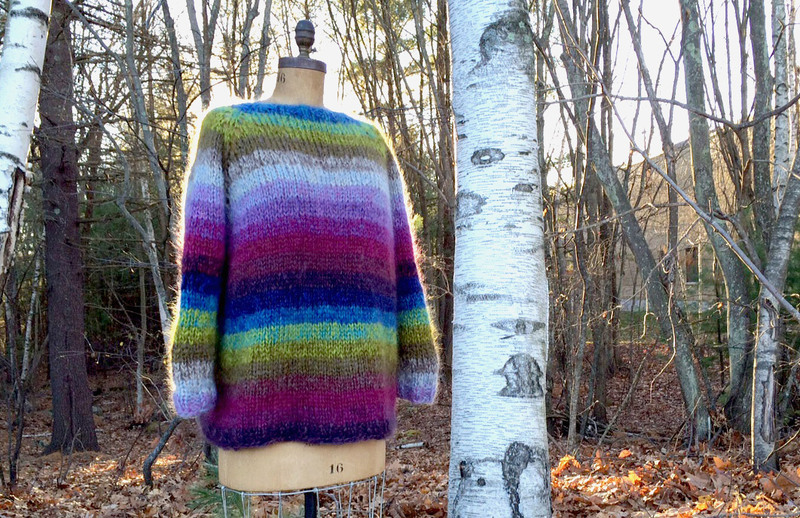 This post celebrates fashion, mohair and La Gran, our flagship mohair yarn. 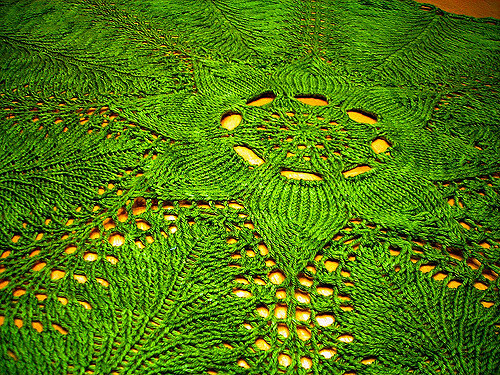 Classic Elite Yarns has been producing La Gran continuously since the mid-1980s. 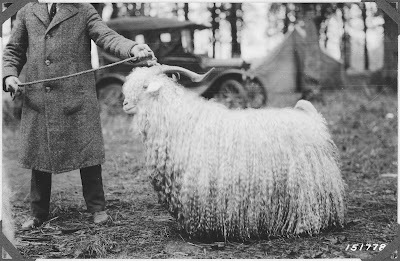 Mohair is fine and lustrous and has many of the good qualities of wool. 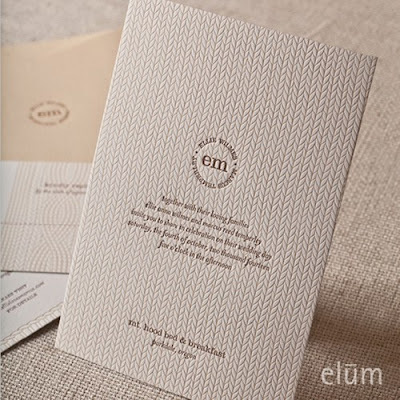 It’s fairly soft and can absorb moisture yet still feel warm and dry. 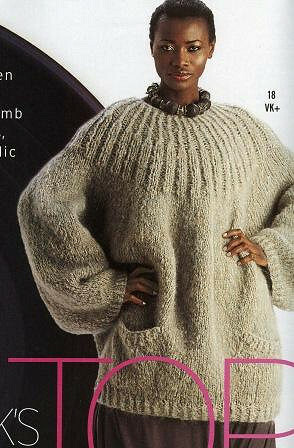 Knitted on a large needle, it’s lightweight and airy. La Gran is spun with a strong binder—a combination of wool and nylon—to secure it. The fluffy surface is the result of a good brushing. Seventh Avenue had a love affair with La Gran in the 90s and the aughts. This amazing bubble sweater for Vogue Knitting was designed by Marc Jacobs (above) while Irina Shabayeva inspired with this intarsia beauty (below). 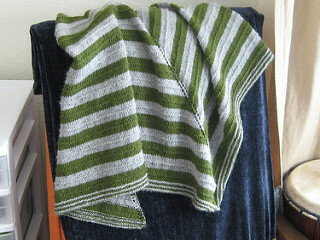 Both make brilliant use of La Gran's loft and softness. Whether it's Vintage Nicky Epstein (L) or Vintage Classic Elite Design Team (R), La Gran is always in style. 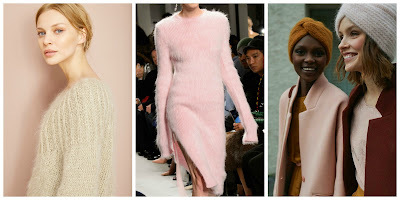 These gorgeous runway pieces show the timeless nature of mohair. It's simply always in style. This week's free pattern is just one of a recent slate of free patterns we're offering in La Gran. 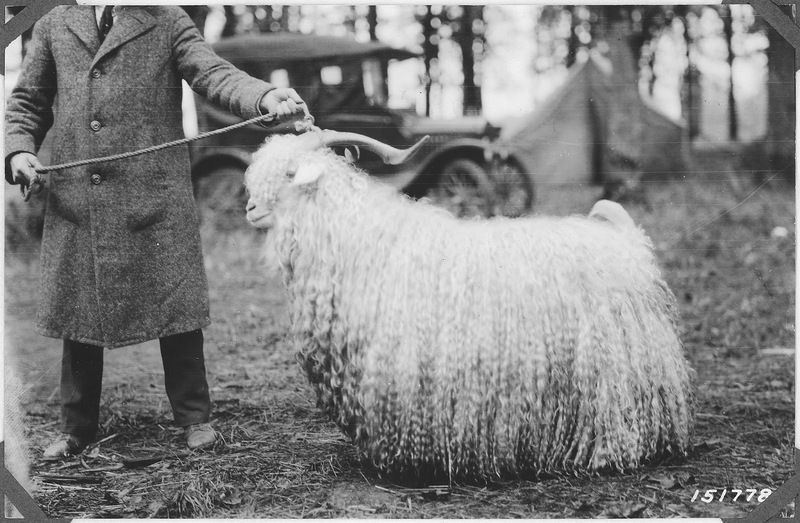 This is the season to become reacquainted with the goat, don't you think? 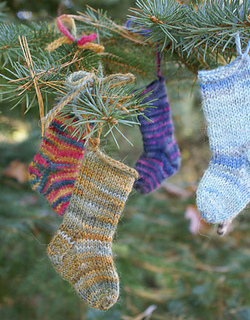 It's December! Let's be festive! So many holidays and vacations and school breaks. So much good food, friends and family. 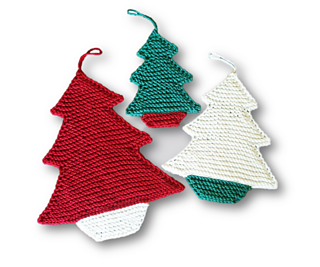 Let's look to knit and crochet some cheerful holiday decor. 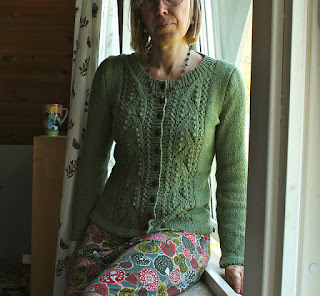 Up above is one of my favorite, fast projects. 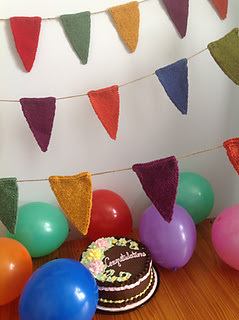 Susan Mills' Celebration Banner can be knit in any color combination to suite your particular festival. Barbara Spencer Hawk's gift tag/ornaments are sized by using different weights of yarn. 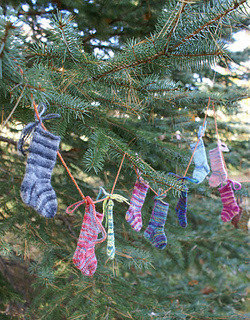 Try Liberty Wool Light, Worsted and Big to make three sizes and dangle them anywhere. 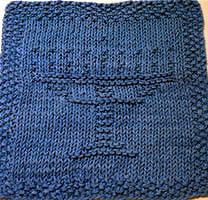 Robyn Chachula's crochet chanukiah/menorah is a fun way to get the kids involved in the holiday. The removable candles can be "lit" by the young ones without fear of fanning the flames. Make one in organic cotton seedling to keep it all natural. 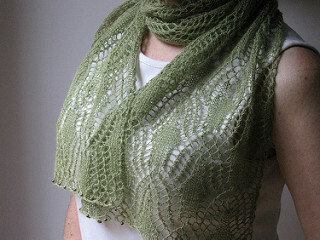 Seedling would also work fantastically well in this face cloth by Emily Jagos. 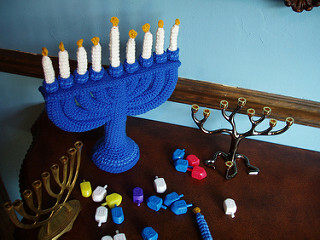 A lovely housewarming gift for any Chanukah party. But these mini socks have won my heart. 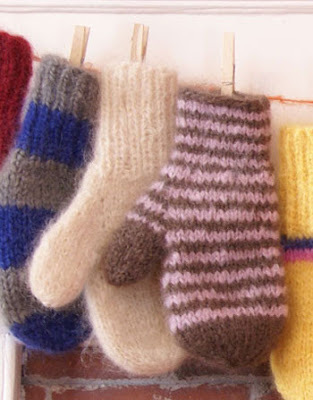 Knit in small bits of Alpaca Sox, they are super soft and colorful. Our free pattern works up so quickly, you can make a shoebox full of them in plenty of time for the holidays.